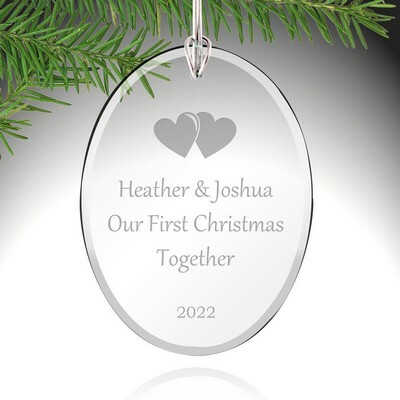 Personalize the Year (4 char. 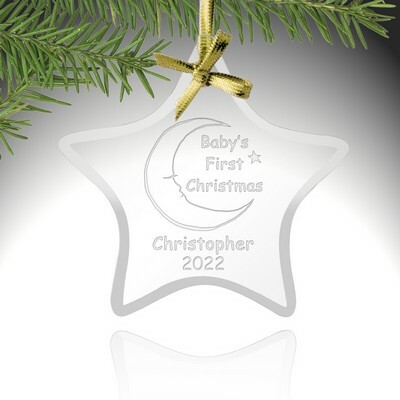 max) You have 4 characters left. 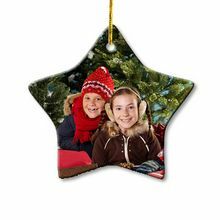 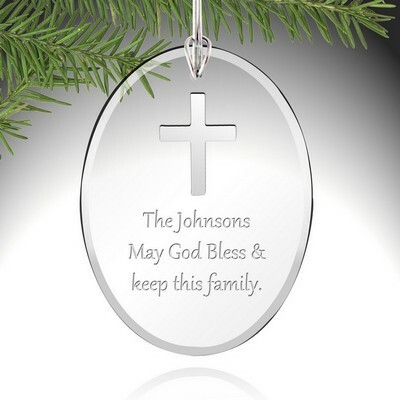 This beautiful ornament makes a wonderful personalized gift for those who celebrate the season with deep faith. 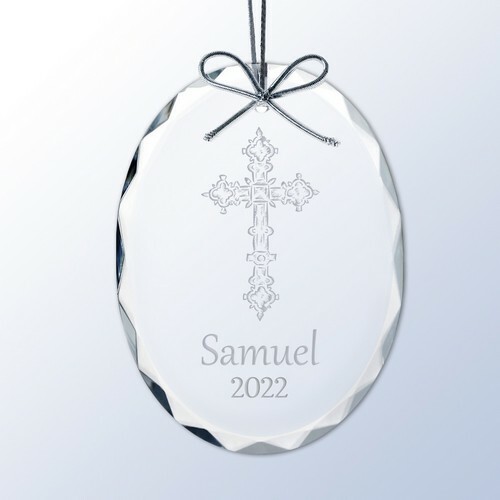 This personalized cross ornament is perfect for commemorating baptisms, christenings or any other religious milestone. 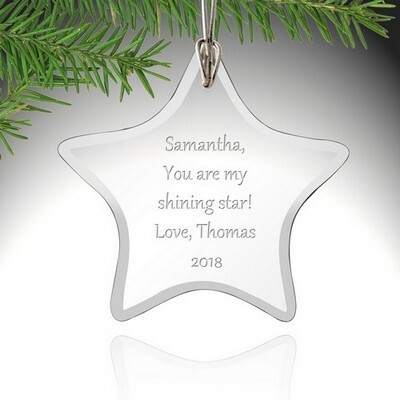 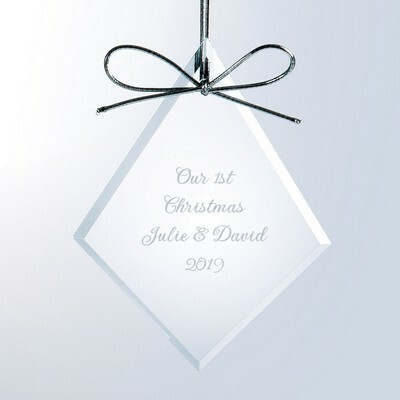 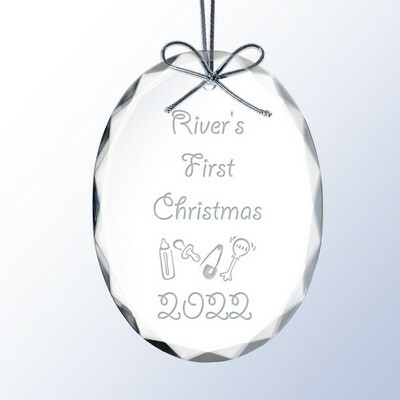 This optic crystal personalized ornament measures 4" x 3" x 3/16" and will glitter beautifully on your Christmas tee. 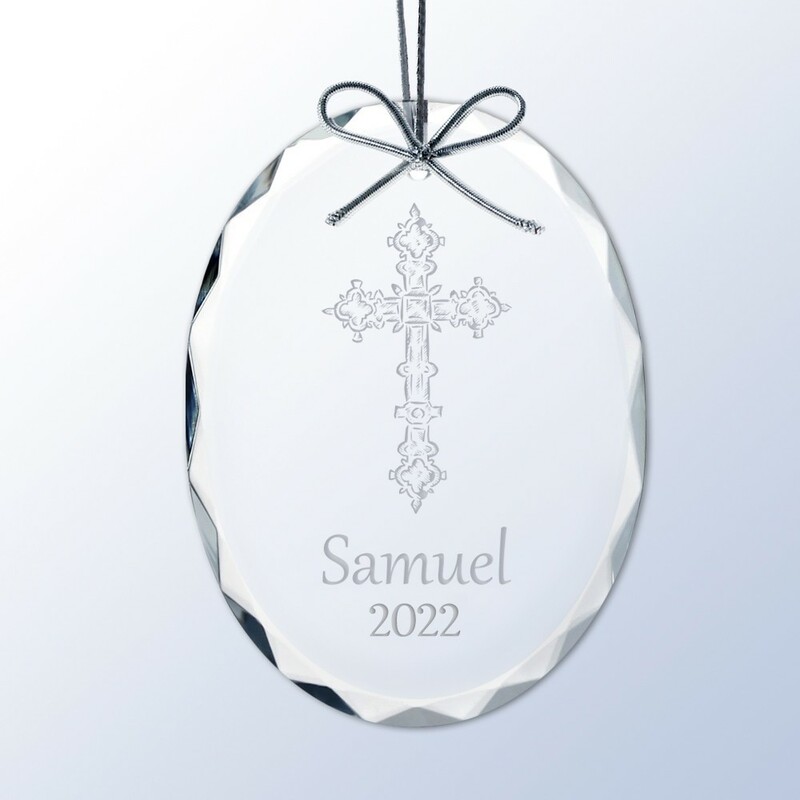 Personalize this gift with a name and year. 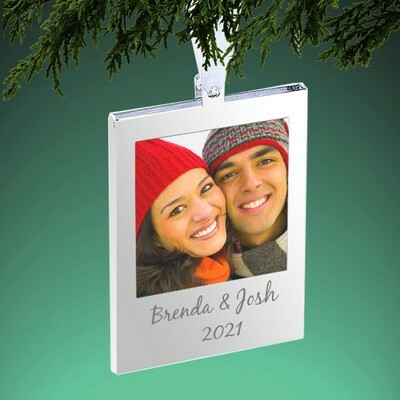 You can earn 27 MG Rewards Points on this product! Comments: I like the detail of the crystal and the engraving as well. 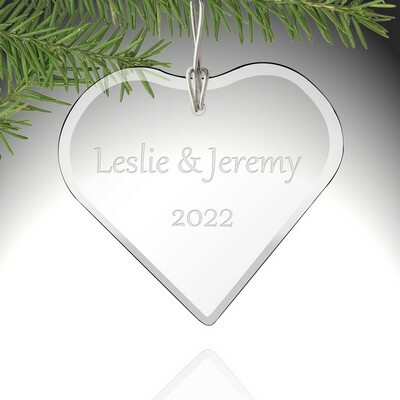 Very pleased with the final product.